Can you belive 2012 is already half over? I know I can’t! So how are you doing in this challenge? Are you half way to your goal yet? I know I’m not! Let me know how it is going in the comments and don’t forget to link to your reviews! 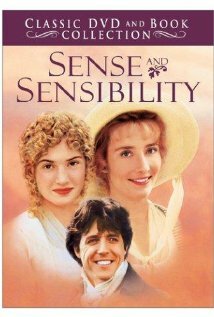 Sense and Sensibility is one of the best loved of Jane Austen’s novels, populated by great comic creations like Mrs. Jennings, the unscrupulous cad Willoughby, and guileless and artful women. As ever, Austen suffuses her work with great ironic observation and tremendous wit, producing a masterpiece of romantic entanglement that time and a very different set of mores cannot diminish. So I watched the movie and really really liked it! It made me much more excited for the book. And it is a good thing I saw it! There were so many Miss Dashwoods, and Mrs. Dashwoods that I would have been very confused at the beginning if I had not seen the movie! But onto the book! It took me about 100 pages to really get used to Jane Austen’s writing style enough for it to be more comfortable to read. Once I got used to it, I actually read the book pretty quickly and it was much more enjoyable! I did have to keep reminding myself of the time period though. They were just so polite! Even in their thoughts they were polite! If I had been Elinor, I would have wanted to smack Lucy, yet she does not even think such impolite thoughts! I loved the sisters so much. They were very different, which made their reactions to everything around them more interesting and entertaining. It was really easy to look for and find the parallels in their lives and courses. It was very easy to cheer for htem because they wre both so nice and caring! The men were interesting. For some reason, I assumed they would all be stereotypes and boring, but they weren’t! I felt compassion for the, even when they were jerks at times and saw how difficult living in that time period could be for both genders. You couldn’t pay me enough to do it! Personally, I liked Edward the most, but it was hard to get the movie actors out of my mind, which was a little disappointing. I really did enjoy the book though, and look forward to reading Pride and Prejudice later this year. If you are a fan of retellings of that Austen work, you need to check out The Lizzie Bennet Diaries on Youtube. It is a modern retelling through “video blogs” by Lizzie and her sisters. It is so much fun! As a young child, Moth’s father smiled, tipped his hat and walked away from her forever. The summer she turned twelve, her mother sold her as a servant to a wealthy woman, with no intention of ever seeing her again. These betrayals lead Moth to the wild, murky world of the Bowery, filled with house-thieves, pickpockets, beggars, sideshow freaks and prostitutes, where eventually she meets Miss Everett, the owner of a brothel simply known as “The Infant School.” Miss Everett caters to gentlemen who pay dearly for companions who are “willing and clean,” and the most desirable of them all are young virgins like Moth. 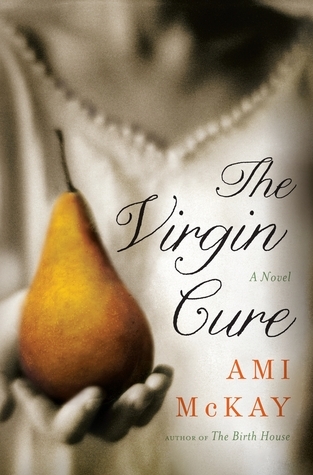 Through the friendship of Dr. Sadie, a female physician, Moth learns to question and observe the world around her, where her new friends are falling prey to the myth of the “virgin cure”–that deflowering a “fresh maid” can heal the incurable and tainted. She knows the law will not protect her, that polite society ignores her, and still she dreams of answering to no one but herself. There’s a high price for such independence, though, and no one knows that better than a girl from Chrystie Street. Have you ever read a book and instantly felt that it could be a hit? That people could put down their Pattersons and their Clancys, try someone new and enjoy every moment of it? This book made me feel that way. I know it will never be as big as those suspense authors, but I hope a lot of people read and love this book as much as I did. I wanted to give Moth a hug for the entire book. In her first eleven years of life, no one ever gave her a chance. Her life was decided since she was born: she would be a burden, then she would be sold into servitude. It didn’t matter that she was kind and smart. Or that she was brave and caring. All that mattered was where she started. The person who she is sold to is abusive and terrifying and Moth escapes and is on the streets with no prospects. While begging, Mae, a near-whore, sees potential in Moth and brings her to the house where her madame trains young women. Suddenly, all of Moth’s hopes seem to be answered. She is sleeping on a feathered bed, wears beautiful dresses and feels like she matters. Watching the transformation was difficult. While it was great seeing her transform and get what she wants, the reader knows the dangers of what she is doing. But the transformation makes Moth stronger and gives her a confidence she would have never known. Without being a near-whore, she could never have been successful if that makes any sense. Thankfully, there are good people even in this seedy world who want to help, even if the girls themselves cannot see it for some time, particularly a female doctor. This is such a beautiful piece of historical fiction. If you read the author’s note at the end, you will see Sadie (the awesome doctor) is based on the author’s great-grandmother and some of the events and characters are based on people she knew. That even some of it is true makes it even more stunning. It even has a format that adds to the story and setting. Throughout, there are notes from the doctor about things Moth has said and there are “newspaper articles” showing how the establishment was commenting what was going on in Moth’s world. This was a fantastic book that I hope you go out and get. This book was not what I expected, in a good way. I read the summary and thought the main character would be annoying, but I have found that Natasha Friend is very hit of miss for me, so I thought I would try it anyway. The main character, Lexi, is not annoying, even though I think the author intended her to be. While she is really pretty, she does not flaunt it or brag about it. She puts her friends first. She is one of those people who doesn’t ask for the attention or even try to get it, but she still does. So evem before the accident i liked her and felt bad for her. Yes, she was popular and had all the boys liking her and girls wanting to be her, but she was nice and a great friend! So when she lost some of that beauty and friends, I felt really bad for her. She didn’t know how to relate to her mother anymore. Everyone always stared at her like she was something on display (something I can relate to very easily). Oh, and right before the accident, she walked in on her best friend giving her boyfriend a BJ. So…it was really hard to look at her as a bad guy, even if she could be selfish – but almost all teenagers are selfish to some extent. She wasn’t perfect though – she wasn’t very nice to her older, kind of geeky sister, btu she learned to see her in another way. She didn’t stand up for a friend of a friend when others made fun of her. She no longer tried with her mother. I don’t htink it makes her a bad person, it made her more human. If there was anything I didn’t like, it was that at the end she was too forgiving of people that hurt her very badly, but her reasoning was understandable – she just didn’t think it was important enough to stress about. I just hope that she learned hwo to stand up for herself to her friends, something that still never seemed to happen. It is a good book, but I didn’t think it was great. I do think that teen girls should read it though. It talked about empowerment and strength through both Lexi and her sister. It also showed how, no matter what has happened in the past, that females need to stand up for each other when they see bad things happening. There was a very powerful scene that showed boys taking advantage of a drunk girl that I just thought was important for girls to read. The other important thing to look at is there is this really pretty character and she is not bad. So often, especially in high shcool, females judge others based on their looks, and that includes that beautiful girls are mean or snotty. We all need to give each other a chance based on what is inside and this book shows that message in an entertaining way. TSS: Saw the Movie First??? I did something that I never ever do…I watched a movie before i read the book. I didn’t just do it, I did it on purpose! I know. The horror the horror. The book is always better, it will ruin the book etc. I know the arguments I have made the arguments but I have a very very good reason for it! on Wednesday and I started reading the book yesterday. I have tried reading Jane Austen a few times before. I started Emma several times and couldn’t get further than page 20, so I thought if I saw a movie and understood the story more first, I could enjoy the language and the writing much more. Gotta say, I LOVED the movie. It was enough that it was Emma Thompson, Hugh Grant, Kate Winslet, and Alan Rickman playing these characters. The acting was superb and I think by having such a spectacular cast it helped me to connect with chracters speakign and acting in a way that is foreign to me. I was so happy that I really enjoyed the story too. I has to remind myself several times that this was a much different time period and that women going off on their own could not happen, the needed a husband to have a chance to do anything. So now I get what is going on and it really has helped, even in the first 40 pages. 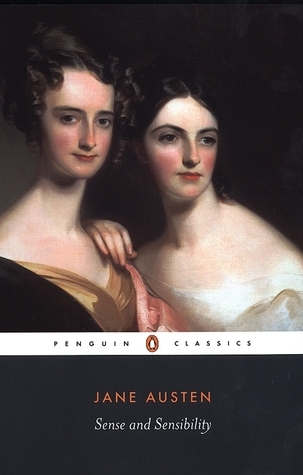 There are so many Ms. Dashwood and Mrs. Dashwoods and without the movie i would be SO confused as to who was who. I hope I enjoy the book, I want to love Austen, especially since so many of her books are in the 1001 Books You Must Read Before You Die book and challenge I am in! Have you ever watched a movie so you could understand the book before you read it? Which ones? Let me know in the comments! 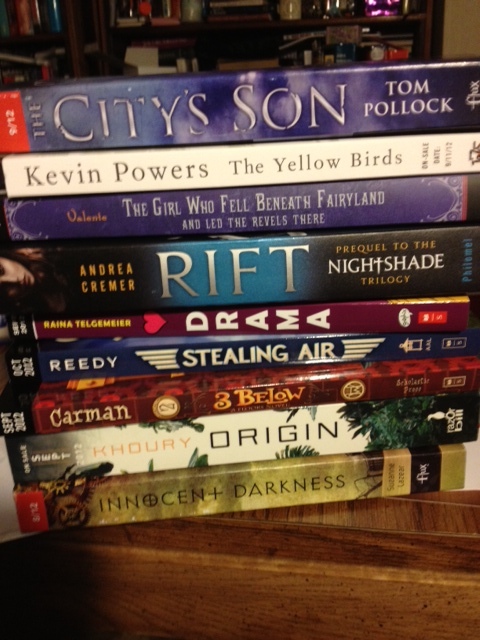 I thought I would share with you the books I got at BEA! 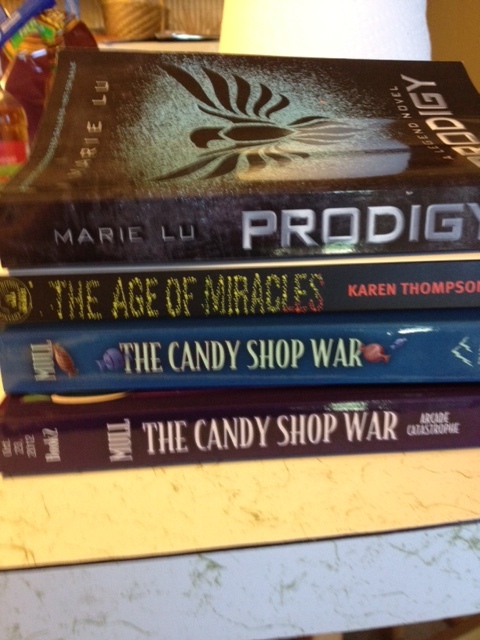 I look forward ot reading and reviewing these, but I have other books in front of them, so I am not rushing! Finn has escaped from the terrible living Prison of Incarceron, but its memory torments him, because his brother Keiro is still inside. Outside, Claudia insists he must be king, but Finn doubts even his own identity. Is he the lost prince Giles? Or are his memories no more than another construct of his imprisonment? And can you be free if your friends are still captive? Can you be free if your world is frozen in time? Can you be free if you don’t even know who you are? 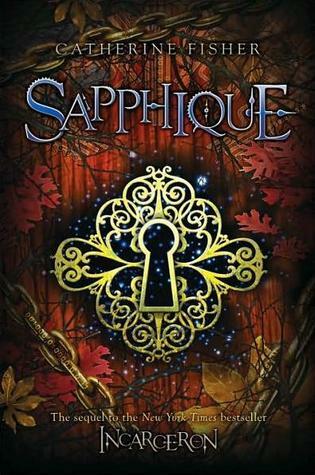 Inside Incarceron, has the crazy sorcerer Rix really found the Glove of Sapphique, the only man the Prison ever loved. Sapphique, whose image fires Incarceron with the desire to escape its own nature. If Keiro steals the glove, will he bring destruction to the world? I really really loved the first book in this series, so much os that I cannot believe it took me so long to get to the second book! I am so gald I did finally read it because it was better than the first! 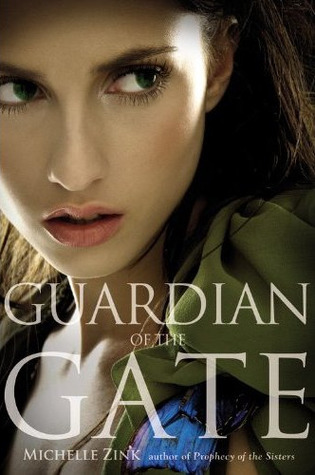 You know it is a great book when you cannot figure out who your favorite character is. They all have such interesting motivations and I felt like I knew all of them. Though I didn’t know them all too well because I kept being surprised, especially by Finn and Attia. In this book, the prison is even more of a character than it was in the first, in fact it was the main villain in this book – and a truly terrifying villain it was! Knowing it had complete control made the part of the book that took place in the prison more exciting and gave it much higher stakes. Outside, the stakes were pretty high too and Finn, Jared, and Claudia had to work hard fix the Portal, convince everyone that Finn was the lost prince, and. oh yeah, try to stay alive because several people want them dead, including the Queen. This was an easy book to lose myself in – one of the highest compliments I can give a book! Having to put it down and get other things done was sad every single time I had to do it! If you haven’t read Incarceron yet, what are you waiting for? It is a fantastic book and this two-book series is one not to be missed! I plan on highlighting different parts of BEA in the next week, but I thought I would start with with my personal favorite moment, The Children’s Author Breakfast. The first thing I need to say is thank you to my parents! This was my birthday present from them and I couldn’t have gone without them! The breakfast was so excited and inspiring because of the authors there: Kadir Nelson, Lois Lowry, John Green, Walter Dean Myers, and Chris Colfer. It started with Walter Dean Myers, the National Ambassador for Young People’s Literature.He spoke about “changing the environment…to making every child a reader” and that “reading is not optional” something that everyone in the room could agree on. He also said that “We need to develop the next generation of readers. We can make children believe that books can take you far.”. He went on to say that it didn’t mean that they could take you to far away places, which obviously they can. Instead, we need to teach them that reading books can take you far in the world. Chris Colfer was the host of the event and he charmed every single person in the room. His book called The Land of Stories: The Wishing Spell comes out in July and I know I am very excited to dive into my ARC! He talked about the funny questions he gets from reporters and said “Reporters think it is strange that I am doing a book and not an album or a movie”. He started to write this book since he was 10 and promised himself that if he ever had an opportunity to actually do it, he would. I hope that is a message he gets out to kids. He also told how when eh started he would take every chapter to his grandmother who would either give suggestions or rip it up and tell him he could do better. He has dedicated the book to her and it was very sweet. HE also showed us his cover design and map from when eh was a kid, then gave props to his illustrator for doing an amazing job (and the cover is beautiful!). Next up was John Green, who Colfer called the “Justin Bieber of the literary world.”, which the room loved. John Green’s said “I found fan fiction of us (he and Chris) I did not write that, but if you did I am flattered.”. I will get back to that later. John Green talked about how when he was a kid he thought that everyone else was an alien and he was the only human in the world. Books changed that. He said “Stories were the way into believing that other people were really real” and that “It is the only way I can be in other people’s head”. Also “That revelation is the key to empathy… We understand we have a responsibility to them in addition to ourselves”. That shows the true power of books and stories. He defended the world of books by saying it the entertainment that you cannot be only doing partially (like right now, i am writing this and watching TV). Authors and publishers “have already figured out how to do something really important” and do it well, so books aren’t going away.He doesn’t believe that enhanced books will really work “we don’t need to become something you can do while doing something else…that is how we are going to compete” That no matter what the format is “story trumps everything” which literally made the crowd go wild. He concluded with a sentiment that most readers can agree with: “A good book asks more of you than Angry Birds, but it gives you more in return”. Chris came back and responded to Green’s earlier comment with “I did publish some fan fiction of us entitled The Fifty Shades of Green” and introduced the great Lois Lowry. She started out by talking about how she did not have to take her shoes off at the airport because of her age and that this panel was so great because Chris Colfer would be taking his shoes off for a very long time. She wrote The Giver to try to answer her sons’ question ““Why do people do such terrible things to each other?”. She found that she still got the question from young readers so she wrote a second book. And she still got the question so she wrote a third in the series. But the question still existed, so she wrote this final book, where the main character is named after her son who was killed in a fighter plan crash in 1995. She never really agreed that writers just write what they know, they also “Write what makes you uneasy, what keeps you awake at night”. Also that “We wrestle with those questions we can’t answer”, which is something that can be seen in a lot of the popular young adult literature today. She concluded that “young people think that they can fix the world” and that should be encouraged in the literature. She got a standing ovation. Chris came back to say that it is a good thing that she doesn’t have to take off her shoes “because no one could fill them”. Kadir Nelson as last and he talked about the great things that kids can do when they are asked. He did the beautiful illustrations in the I Have a Dream picture book coming out later this year. He talked about his process and research and what the speech meant to him and how each generation is inspired in different ways by the speech. It was a wonderful event, one that I hope to go to every year. This is just a welcome to everyone I met at BEA. If I met you at the Bloggers Conference, then I know it was fun! If I met you at any other time, I am sure it was great too! I graduated in 09 from Hofstra University with a B.A. in English and a concentration in Publishing Studies. I work in the industry,but not for really “traditional” publishing, so I am free to review everything without a conflict of interest! I love my job and i love this industry. Seriously, I love going to work almost every single day (because we all have a bad day every once in a while)! I am 25 and happily married. I live in NJ with my wonderful husband. When we are not reading, we enjoy playing board games, watching TV, seeing musicals, and spending time with friends! I read everything other than Westerns and romance. I don’t have anything against either genre, but I haven’t found much I really like in them and I have too many books that I want to read! I just updated my Review Policy, so check it out before sending me any pitches. I look forward to getting to know each and every person who reads this better! The ultimate battle between sisters is nearing, and its outcome could have catastrophic consequences. As sixteen year-old Lia Milthorpe searches for a way to end the prophecy, her twin sister Alice hones the skills she’ll need to defeat Lia. Alice will stop at nothing to reclaim her sister’s role in the prophecy, and that’s not the only thing she wants: There’s also Lia’s boyfriend James. I adored the first book in this series, Prophecy of the Sisters. It took me a while to get to this one, but it was also really enjoyable, just VERY different. But first things first, this story line is nothing like Buffy Season 5…I don’t think he actually listened to me when I told him about it. This was a solid second book, although it had the common issue of the middle book, a lot felt like set up for the final book in the trilogy. Yet it wasn’t all of it. A lot happened in this book and it was exciting and moved quickly, though I couldn’t understand all of it. That is a good thing – I have started putting the pieces of the puzzle together and am looking forward to finishing it. The greatest thing about the book is the writing.Everything about it is stunning. I love the historical setting, I felt like I was back in time when women were not supposed to wear pants and got a little lost in the time period. I love the use of language and the dialogue. There was also a new setting that was even more beautiful than historical Europe. I don’t want to give it away, but it was truly imaginative and unlike anything I have read. It was a joy to read such a beautiful book! Lia is such a strong female. I adore her courage and kindness. She is also intelligent, which is nice to see. There are people who help her, but she knows that in the end she is on her own, yet doesn’t use that to push her friends away. Sometimes that isn’t a good thing, but it does tell a great story! My one complaint is that it didn’t have the creepiness factor of the first book. Alice was terrifying and I never knew what she would do or what she was capable of and she was barely in this book. The end made me think that scare factor will be back for the final book, which is very exciting. This is a truly unique and beautiful series. If you have not started it yet, you should! 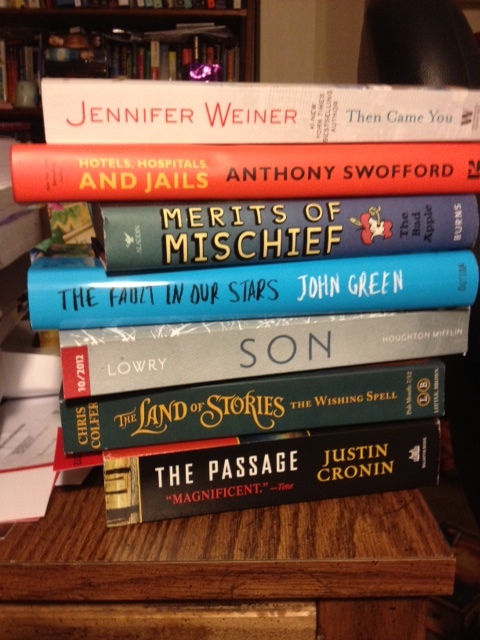 I need to get to the last book soon, but I don’t want ot because I don’t want it to be over!